Providing you the best range of white sugar cubes, brown sugar cubes, refined sugar sachets, demerara sugar sachets (brown), candy sugar and compressible sugar bags with effective & timely delivery. Use Railways, Restaurants, Clubs, Big Corporate houses, catering, Jain temples etc. Use Restaurants, hotels, hospitals, cafes, airlines, corporate offices, etc. Easy to use MB Sugar Sachets are filled with double refined sugar. It's an unbeatable combination of purity, hygiene and convenience. Easy to handle in transit and quickly soluble than ordinary sugar. 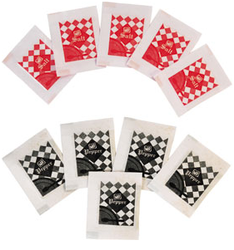 One sachet gives sweetness to one cup of tea or coffee. Customized sachets can enhance the status of your organization. Packaging Size 1 kg polypouch X 10 units = corrugated box. Avail from us high in quality array of Candy(Lump) Sugar. The demand of offered diamond sugar sachets is rising at a rapid pace as these are enriched with high medicinal values and sugar in it processed as per the internationally followed quality norms. Moreover, the high quality packaging material of offered diamond sugar sachets help in retaining freshness of sugar for longer period. We are widely recognized for offering premium quality Compressible Sugar Bags . Offered sachets have quality assured sugar that is processed by using best grade ingredients with the assistance of quality controllers by co-crystallizing and drying, followed by screening. Leveraging on the support of industrial expertise, we are engaged in offering best grade Demerara Sugar, in which sugar has crystalline texture. 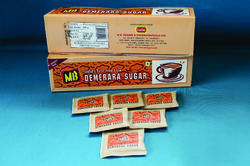 MB Demerara Sugar is hygienically manufactured contains more minerals. High contents of Calcium & Iron. Meets international standards. 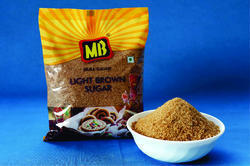 MB Demerara/Brown Sugar Sachets have double refined, free flowing, odorless sugar which is free from impurities. We ensure 100% purity & customer satisfaction. 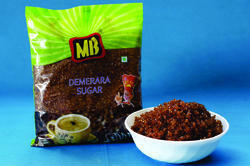 MB Demerara Sugar is rich in minerals. So you are consuming goodness of health with it. Does not absorb moisture and dust from atmosphere. Easy to handle in transit & storage. Quickly soluble than ordinary sugar. Adds taste to Coffees like Espresso, Cappuccino etc. Can be consumed in desired quantity as per your needs. It improves standard and status of your organization. 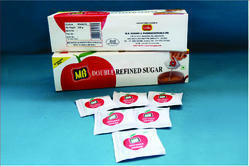 Free publicity of your organization by printing logo & name on sugar sachet. 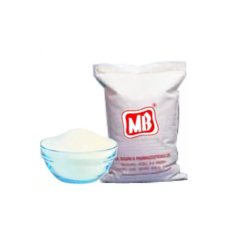 To fit the requirements of food industry, we are engaged in offering finest quality MB Fine Castor Sugar, which is recommended for dry suspensions. To ensure the perfect size of offered castor sugar, we carry out the process of screening under the watch of expert professionals. Our professionals also ensure that offered castor sugar is pure, dry and crystalline. Fondant is a thick, creamy white sugar mass used in different forms for decorating cakes and cookies with; it can be rolled and draped over a cake, poured as a glaze or sculpted with. Fondant is also the basis of many candies -- it is the center of a piece of a chocolate buttercream candy or pecan logs. It can also be used as a thick creamy, sugary filling that gushes out of a chocolate-covered cherry when bitten into. Fondant originates from the word "fondre" which means to melt named so because it melts in your mouth when eaten. So it is applicable to Bakery & Food Industry. Icing Sugar with Starch is very fine white powder easily compressible, with corn starch added as an anti-caking agent. We have gained expertise in offering patrons Light Brown Sugar . At our sound infrastructure, we process the offered light sugar using high grade ingredients in accordance to the international quality standards. 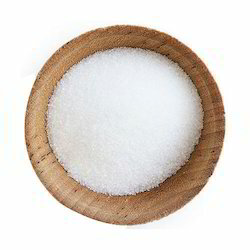 Offered light sugar is widely known for its free flowing nature, calcium & iron content and purity. Offered light sugar is used for daily home consumption in milk, tea, black tea, coffee, brown mithai's like gajak & brown biscuits and cookies. Solubility Time Max. 55 Sec. 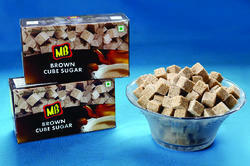 Avail from us a broad array of Double Refined Sugar Cubes, which is in-line with international quality norms. To ensure the same, we process the offered refined sugar cubes using high quality ingredients (99.9% sucrose content). Owing to which these refined sugar cubes is soluble. Understanding the requirements of patrons, we are engaged in offering Double Refined Sugar Sachets (White Quality). We process the offered refined sugar with the assistance of professionals by making use of high grade ingredients, sourced from authentic vendors of the industry. Owing to which, the offered refined sugar is highly pure, white, free flowing and crystalline. 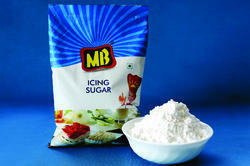 MB Icing Sugar is a product that meets international standards. Use of it enhances the taste of cakes & pastries. Sparkling white & free flow powder. 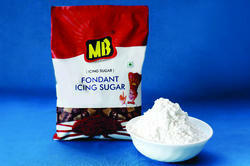 MB Double refined Icing sugar adds transparency to icing, giving it a smooth look. This new fancy product named Rainbow sugar is a coloured & flavoured candy sugar. The different flavours of our rainbow sugar will give you a refreshing taste experience. It gives a very elegant touch to everybody's hospitality. The ultimate symbol of health and status. Double refined sparkling white crystals, free flow, and international quality standards are its unique features. Ideal for Used From " Sunrise to Sunrise" in tea , Appearnce coffee, juice, cakes, pastries etc. For people who are health and hygiene conscious, it is best for daily home consumption. Leveraging on the support of our sound infrastructure, we are engaged in offering Castor Sugar, which is white and in the form of fine crystal. The offered castor sugar is widely demanded as it is free from moisture & bacteria free, melts easily, soluble and has a longer shelf life. 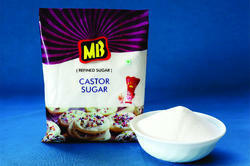 Offered castor sugar is used for Cakes, Biscuits, Cookies and other desserts. For calorie conscious and diabetic people, MB offers a healthier alternative to sugar.MB Lo-Cal is made from Aspartame- a protein derivative. 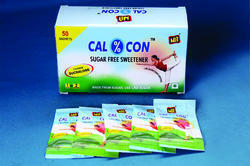 MB Cal-con contains Sucralose which is a new molecule made from sugar but has no calories. Both are ideal low calorie substitutes which gives you taste of sugar without any calories. So enjoy the sweetness. Don't worry about calories and remain healthy and fit. Natural cane sugar, also known as raw sugar or whole cane sugar, is a Brown Sugar produced from crystallization of the sugar cane without refining. Being unrefined, brown sugar has more molasses and higher mineral content (calcium, magnesium, potassium, and iron) which is good for your health. In addition, brown sugar has a slightly lower caloric value by mass than white sugar due to the presence of water. 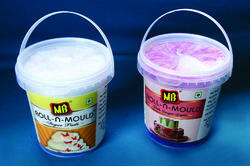 MB takes pride to introduce Roll n Mould Sugar Paste , an edible icing used to decorate or sculpt cakes and pastries. This Sugar paste is also known as rolled fondant or ready to roll icing. MB Roll n Mould tastes great and works like a dream .It is firm and elastic, and makes rolling it out for covering your cake effortless. Furthermore, it can be made in any imaginable shape or form to be used as decorations such as flowers, bows or action figures. Roll n Mould is ideal for cake decorating professionals as well as home bakers. It can be used to cover cakes, to mold features, and create decorations for cakes. . Its ideal for wedding cakes , theme cakes and party cakes. It is also useful to decorate a myriad of desserts including cupcakes, butter cookies or biscuits. MB Kathali Sugar is india's first and only specialty sugar developed by our R&D, an effort to fulfill the needs of sweet makers. Feel the magic with MB Kathali Sugar, so that every minute your sweets appeal to you for improved taste, more whiteness & increased shelf life. It is almost bacteria and moisture free. Almost bacteria and moisture free, 100% pure MB Kathali Sugar contributes to improve the whiteness & gives more shine to all sweets. An ideal Sugar for Kaju Kathali, Badam Kathli, Soan-papdi, all types of White Bengali Mithais like Rasgulla, Cham Cham etc. 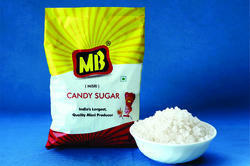 MB Double Refined Kathali Sugar is almost bacteria free. This results in increase in the shelf life and keeps the taste and freshness intact. "An Ideal Sugar for White Mithai's & Canned sweets." The direct use of this sugar benefits you over use of ordinary sugar. In case of ordinary sugar, you have to first purify it with milk thus increasing your cost by increase in comsumption of Time, Fuel & Labour. 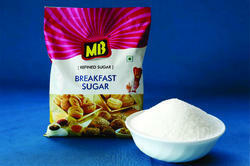 But use of MB Kathali Sugar helps you save and increase your profits and productivity by "THREE TIMES"!!!! "Find yourself on the Upper half of Profits Now"
MB Double Refined Kathali Sugar is now in use with Jams and Jellies, which adds more to its transparency and new gleam to color. 'Murabba' & 'Chhunda' are enjoyed with better taste, color & improved shelf life. Also Ice-creams, Lassi & Juices are enjoyed more with improved flavor, taste & whiteness with the use of same sugar. 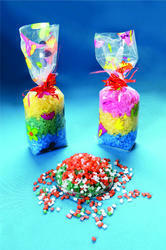 Packed in polyethylene liner & sealed with HDPE bag enabling you to get free flowing sugar. Looking for Specialty Sugar Products ?